A quality plumbing company is something many people do a search for. 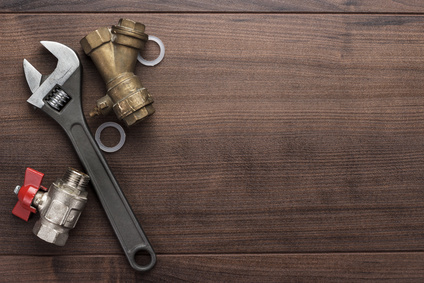 In order to find the best one for the job, it is important to consider all that comes with a plumber. Which one is going to be the best for the job? Which one is going to give you the best work possible? Take a look at these pointers to find out which one is going to be the best plumber for your home. A plumber that has experience in plumbing is ideal. Choosing someone with an extensive plumbing past can be helpful. It is also important to ask for references that you can check into. You want to know how others thought of the work they’ve done. Are they Qualified to do the Work? Know their qualifications to do the work. Are they licensed and insured? Have they gone through formal training to provide the necessary plumbing jobs? These are all important aspects that you should look into for any professional you hire. Hiring a professional means you don’t want to provide the tools that are needed. You want to work with someone that has all of the tools and equipment needed, or has access to them if they are needed. Speak with the plumber to make sure you don’t have to supply them with anything. Probably the most important aspect of working with someone is whether or not you like their disposition. You want to work with someone that is knowledgeable, but also a pleasure to work with. Someone that has interpersonal skills, as well as a friendly disposition is going to make you want to work with them. Speak with a professional in your area today to find out how they’re able to help you. You don’t have to worry about not having the right person for the job. You should be covered when it comes to hiring a company, make sure the plumber that comes out is the professional you’ve been searching for. Don’t wait, call today!